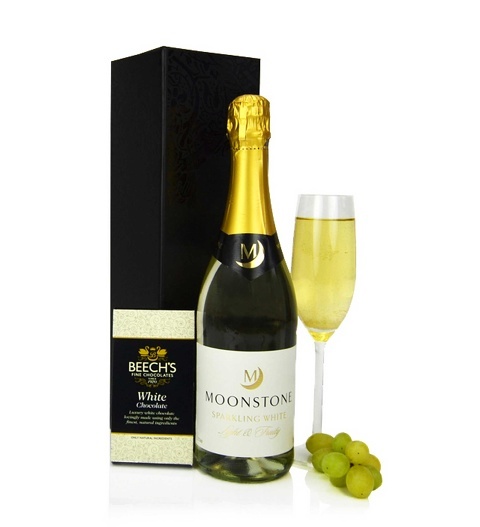 A delicious bottle of sparkling Moonstone wine accompanied with a Beech's Belgium white chocolate bar presented in a stylish gift box. The moonstone sparkling white has a delicious crisp taste with lively notes on the palate. The Sparkling Wine & Chocolate gift is available for UK next day delivery.